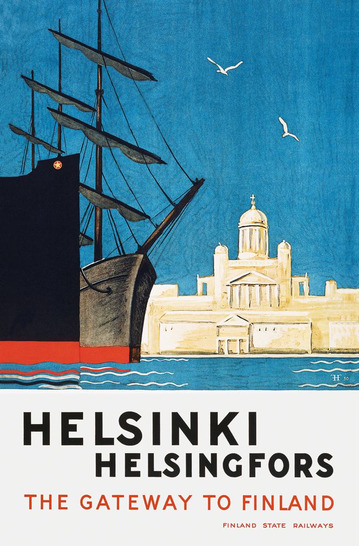 In 1930 the artist duo Gunnar Forsström and Göran Hongell captured the maritime Helsinki with the Cathedral in the background. Both posters were published in several different languages, at least German, Finnish, Swedish, English and French. 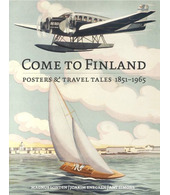 Who said Finland wasn’t international already back then? 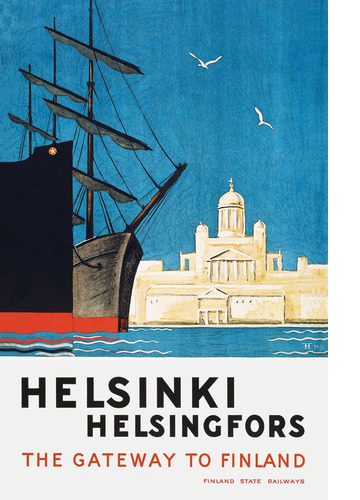 This thing about the Helsinki Cathedral is by the way quite interesting. There is no other building in the whole nation depicted so often in travel posters.